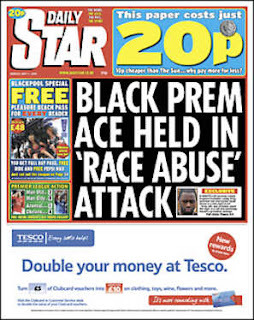 Tabloid Watch: Is it cuz he is black? Well, quite. Especially as the colour of his skin is perfectly obvious from the accompanying photo.